Mephibosheth ate at David’s table like one of the king’s sons. …and he was crippled in both feet. I see such beauty in this story’s portrayal of King David’s acceptance and caring for his friend Jonathan’s son, a disabled man. Why? I think it’s because I see myself – the broken me – in Mephibosheth. And I see God and His love and compassion in the person of David. Aren’t we all like Mephibosheth? We’re all broken to some degree. Everyone. Not only those of us who live with mental health problems. Yet as God’s children, we are treated royally, dining with the Lord at His table. Mephibosheth asked why the king would notice someone like him and we might ask the same. We should not take His gracious treatment for granted. Listen to the way Charles Spurgeon saw it: “Let it be published in heaven as a wonder, that the Lord Jesus should set His heart’s love upon such as we are.” It is a wonder, isn’t it? Many years ago, during a time when I was seeking God, I took this candid picture of a girl talking to her friend seated in a wheelchair. Although the boy could only make guttural sounds when he tried to talk, she met him where he was and answered him with similar sounds. She was connecting with him in a very loving way. The photos I managed to get of the interchange moved me deeply. Two publications wanted to publish the photos, but I was in tears as I tried to sort out who I should sell them to. I wanted whoever published the story to regard it as precious as I did. But what was it in that picture that brought forth such emotion in me? As I continued my search for God, the answer became clear. 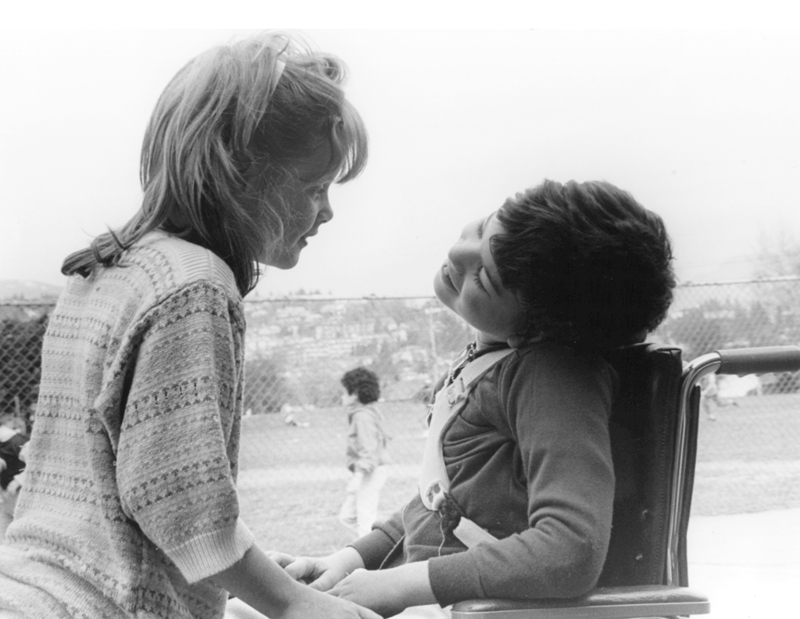 I saw myself in the child in the wheelchair and in the loving expression of the girl I saw the face of Jesus. He loves us…such as we are.